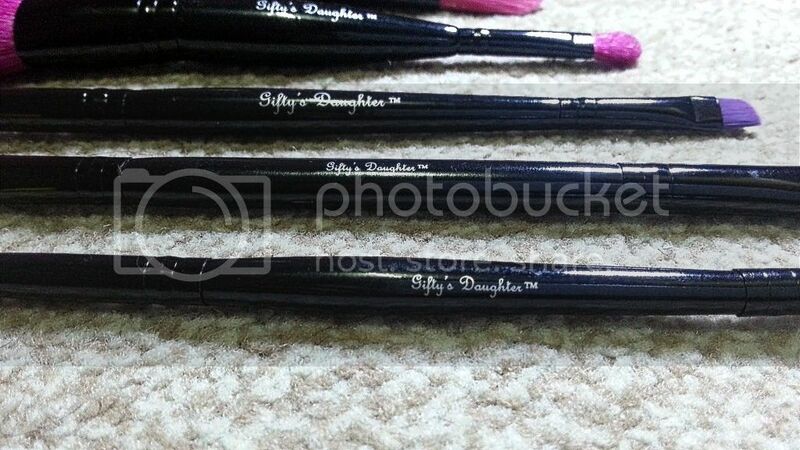 Today I bring you another installment of a Gifty's Daughter brush review. 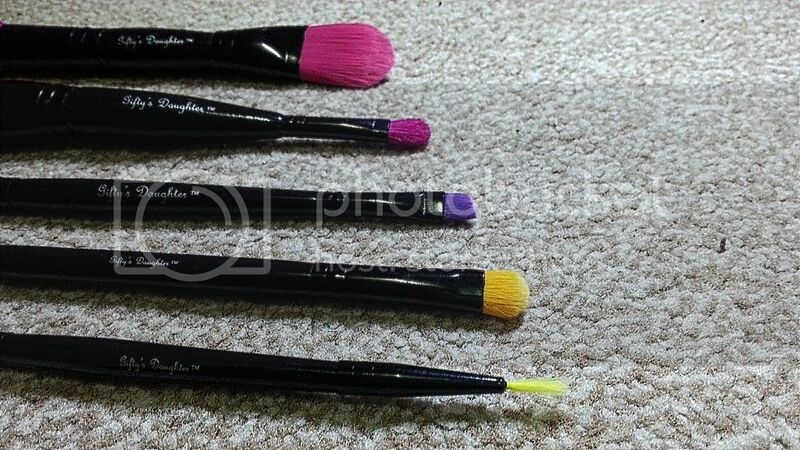 I reviewed the professional brush set here, the travel eye set here and now I am reviewing the dual ended brushes. 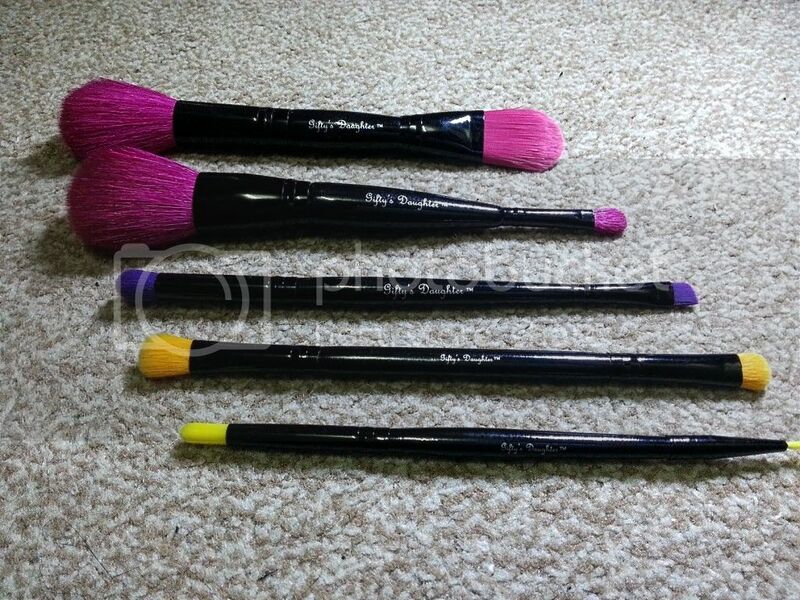 These were delivered along with the Travel brush set. I was supposed to write them right after the 28 Days of Red series but never quite got right round to it until now. I apologise to Funke for this and have determined to myself that after getting through all my pending posts, I will do ALL my best to ensure that posts go out when due. Every time I see that logo, I am always proud, lol. 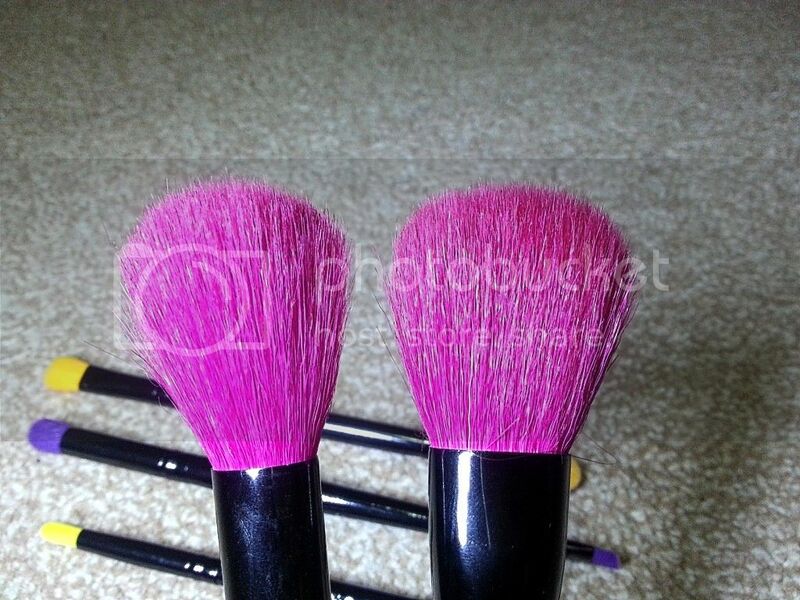 this is the foundation brush and small, fluffy shader brush. 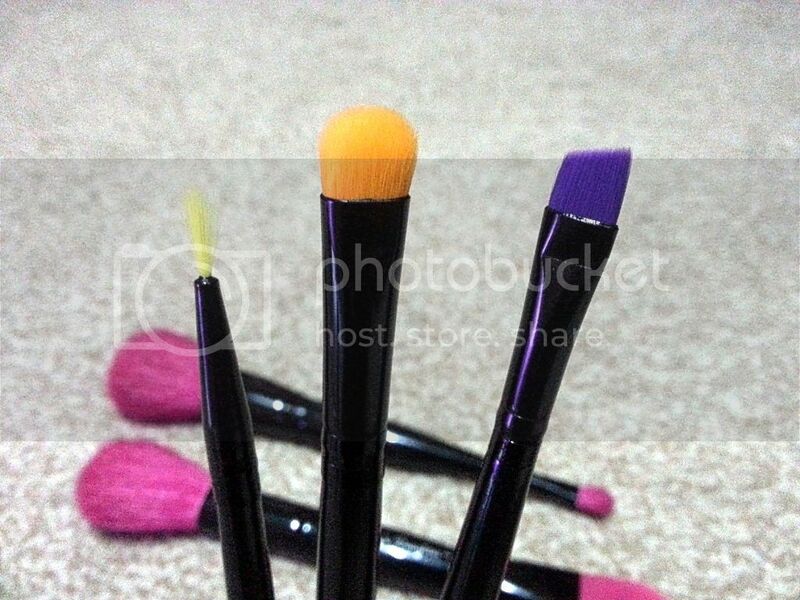 I am yet to use the shader brush but the foundation brush is really light-weight and easy to use. 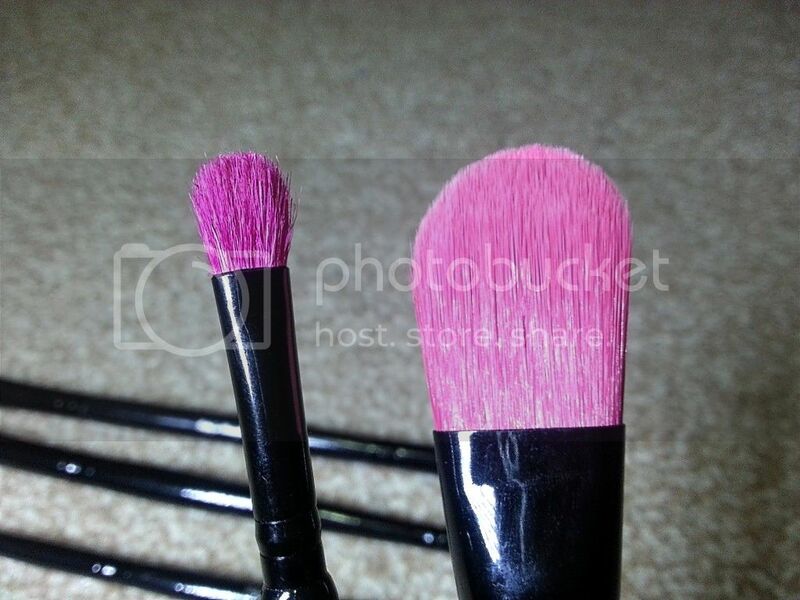 the powder and blush brush are really hard to differentiate as they are the same size. The bristles are also not dense and full thus making these products quite soft and partly ineffective when used. 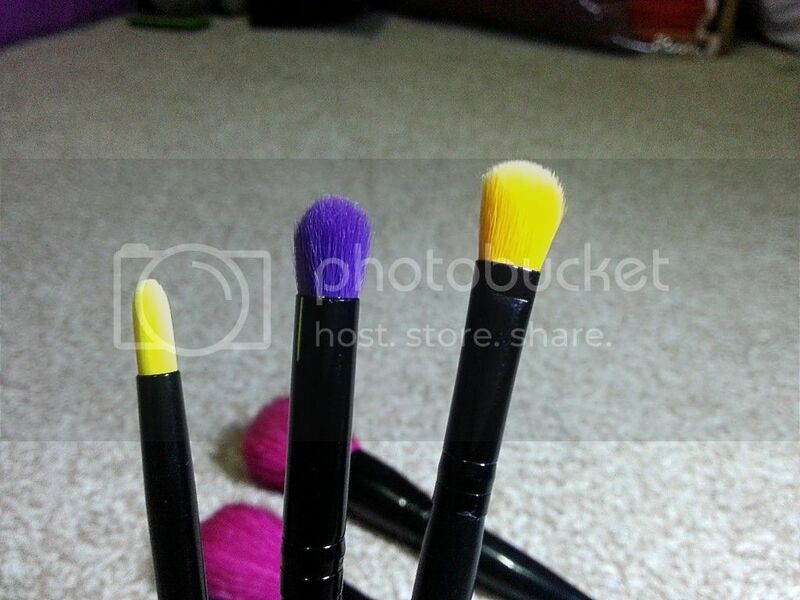 I am not crazy about the face brushes. I totally understand that this might not be the case with everyone though but these are just my personal thoughts. All the bristles are made of synthetic fibre, I guess this is the reason why they tend to be scratchy during first use. 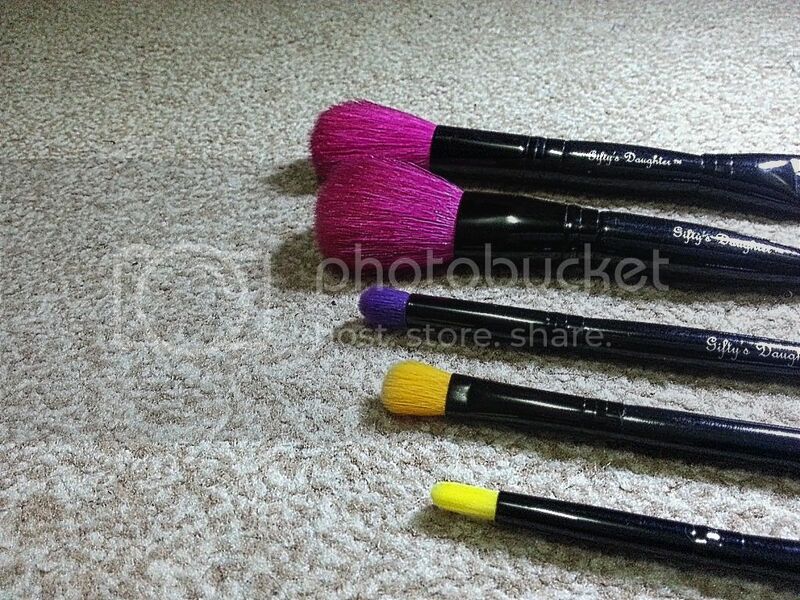 I love the convenience of having to just carry around 5 brushes and not need any extra help with my makeup. The bright colours are the icing on the cake for me. Anyone use them yet? Let me know what you think?